Interested in becoming an IIDA member or renewing previous membership? 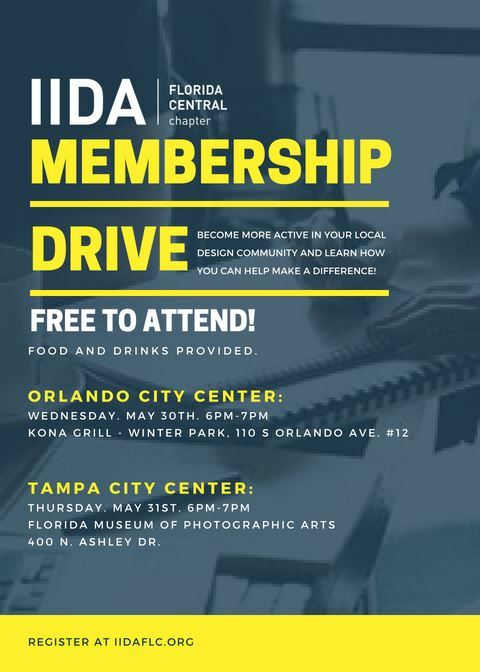 Come join us for a causal happy hour and learn more about how IIDA can benefit you! Already a member? Bring a potential member! Admission is free and food and drinks will be provided! As of April 1st, dues are pro-rated 25% off for membership through Dec 2018! Parking at the Rivergate Tower parking garage will be validated with parking stub.